“There is no judgment to the effect that the ‘creamy layer’ concept will apply to SC/ST”, affirmed the AG. As the hearing on the question of reconsideration of the 2006 M. Nagaraj judgment resumed before the Supreme Court five-judge bench on Thursday, Attorney General K. K. Venugopal pressed for a reference to a larger bench in view of the seven and nine judge bench decisions in N. M. Thomas (1976) And Indira Sawhney (1992) respectively. The hearing on Thursday witnessed a discussion between the AG and the bench on whether the ‘creamy layer’ concept, as originated in Indira Sawhney in context of the OBCs, would also apply to the SC/ST in granting reservation in promotions. “There is an intense investigation before the notification under Articles 341 and 342 is issued. The inquiry identifies the people who have suffered for centuries and hence, by applying the ‘creamy layer’ concept, they should not be deprived of the benefits which accrue to them”, he continued. He indicated how Article 15(4) expressly separates the SC/ST from the other socially and educationally backward classes on account of their status. “N. M. Thomas also says that the question of backwardness does not arise in the context of the SC/ST”, the AG referred to State of Kerala v. N. M. Thomas where the classification of employees belonging to Scheduled Castes and Scheduled Tribes for allowing them an extended period of two years for passing the special tests for promotion was held to be reasonable. “The need to gather quantifiable data as to backwardness has to go and and I do not think it can be done by a five judge bench...”, he iterated. 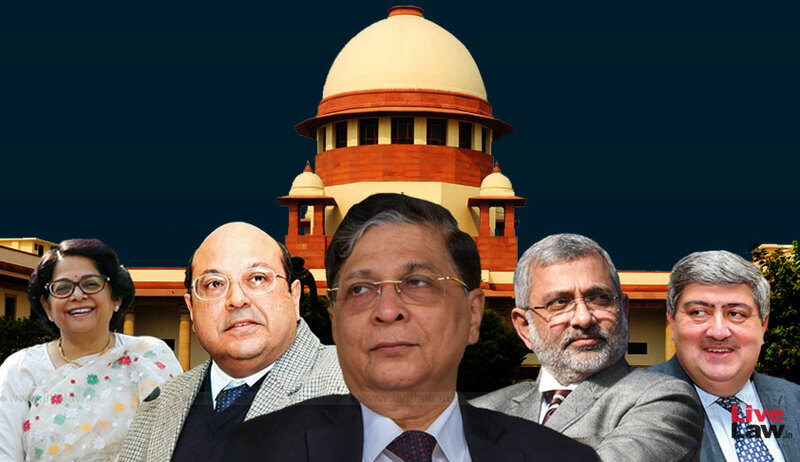 He drew the attention of the bench to the decisions in Ashoka Kumar Thakur (2008) and Avinash Singh Bagri (2009) to show that it is not in dispute that the SC and ST are a separate class by themselves and the creamy layer principle is not applicable to them. Senior Advocate Amarendra Sharan also drew the attention of the bench to the non-obstante clause in Article 16(4A). “So you are saying that once the president comes to the conclusion that these people have been backward historically, any change can only be made by the Parliament? And for that a commission has been set up which suggests the removal of someone from the list...”, inquired Justice Rohinton Nariman. The judge asked if the AG supported the judgment in E. V. Chinnaiah, to which the AG responded in the affirmative. “What about the members of the class who have since come up socially and educationally? I am talking intra-class”, questioned Justice Kurian Joseph. “Even today, the upper classes will not employ the backward classes...the social backwardness still persists even though educational backwardness may have subsided...they have to still marry within their own caste only...also, who will be the person to separate the real, true backward class?”, replied the AG. Justice Nariman proceeded to observe that Article 46, which was part of the original Constitution, speaks of the weaker sections and then the SC/ST in particular, that Article 16(4) uses the phraseology ‘any backward class of citizens’, and that the amendment by way of clause (4A) confirms the old position in mentioning the SC/ST. “So you are saying that if the creamy layer can be excluded, it can only be done by the parliament”, clarified the judge. “Can the parliament exclude part of a class? I am talking about numbers of the class”, asked Justice Joseph. In response, the AG indicated Article 341(2) which permits the Parliament to include in or exclude from the list of Scheduled Castes specified in the notification issued by the President any caste, race or tribe or part of or group within any caste, race or tribe. On the first day of hearing, the AG had submitted that backwardness had to be presumed in case of SC/ST, and hence further proof of backwardness for promotion was not required. This was followed by a string of interesting comments from the bench. While Justice Nariman stated that caste permeates every religion including his own and mentioned ‘the relative untouchability’ among the backward classes, Justice Joseph remarked that the stigma of caste continues even after the conversion of faith. The judge asked if the AG supported the judgment in E. V. Chinnaiah, to which the AG responded in the affirmative. In this 2004 case, the apex court had set aside the apportionment made by the state of Andhra Pradesh of the 15 per cent reservation for the SC in the educational institutions and in the services of the state amongst four groups depending on the extent of backwardness.